Documentary which explores the making of Pink Floyd's album Wish You Were Here, featuring new interviews with band members and others involved in the album's creation. John Edginton's documentary explores the making of Pink Floyd's ninth studio album, Wish You Were Here, which was released in September 1975 and went on to top the album charts both in the UK and the US. Featuring new interviews with band members Roger Waters, David Gilmour and Nick Mason alongside contributions from the likes of sleeve designer Storm Thorgerson and photographer Jill Furmanovsky, the film is a forensic study of the making of the follow-up to 1973's Dark Side of the Moon, which was another conceptual piece driven by Roger Waters. The album wrestles with the legacy of the band's first leader, Syd Barrett, who had dropped out of the band in 1968 and is eulogised in the album's centrepiece, Shine On You Crazy Diamond. Pink Floyd had become one of the biggest bands in the world, but the 60s were over and the band were struggling both to find their purpose and the old camaraderie. 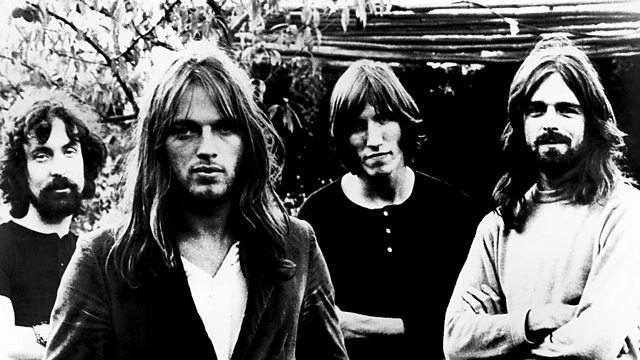 Find more clips and interviews on Pink Floyd's BBC Music profile.